The amount of people I’ve seen doubting if he’s dead or not, I wouldn’t be surprised if Trump asks for a death certificate. Not gonna lie, The Carmen Sandiego took me by surprise and made me laugh pretty hard. What, no PJs about his bin being laden with trash? Disappointed! i see a hand….or maybe one of those Styrofoam busts that hold wigs…. Thanks for that. I couldn’t figure it out either. How the hell could anyone possibly recognize that? 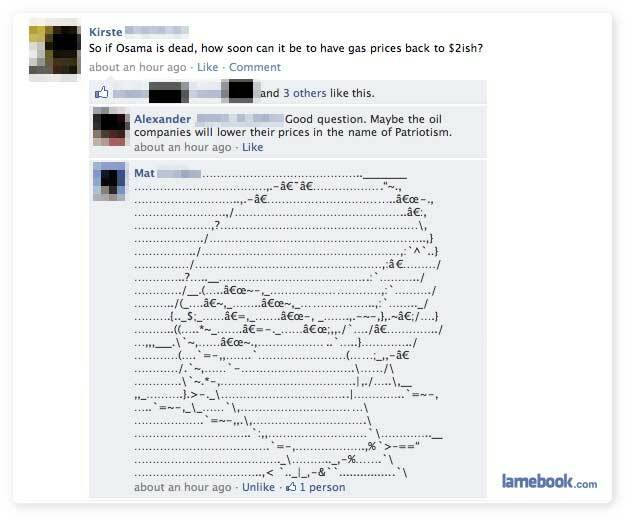 Yes, because oil companies are SO patriotic. 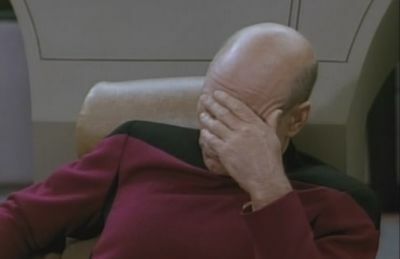 I must be pretty awesome (or just that lame), because I got that it was a facepalm almost right away. Lolwut. I’m the Evan guy. LAMEBOOK WHO SUBMITTED ME! ?